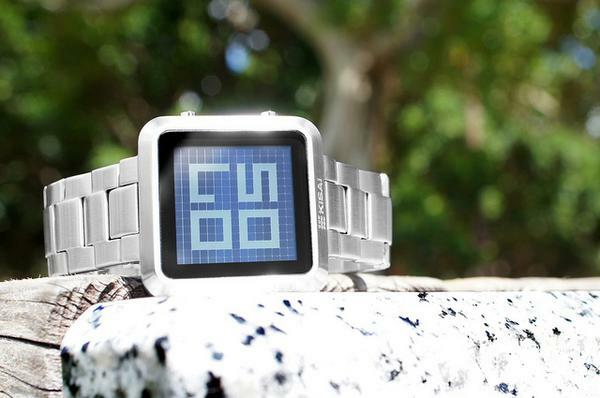 Following Kisai Logo, Tokyoflash, the productive watch studio released a new LCD watch: Kisai Maze. If you like this kind of maze like watch dial, let’s go on checking. 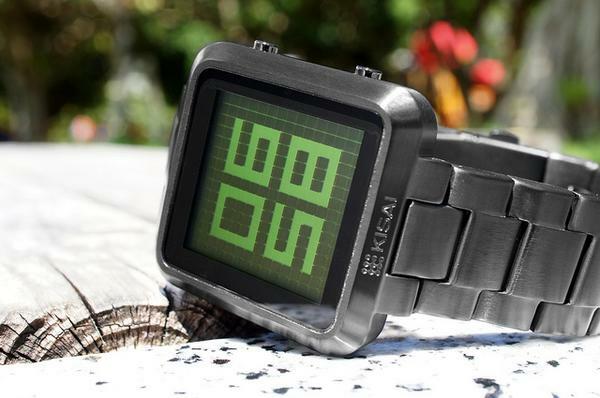 Kisai Maze is a unique designed LCD watch. As we can see from the images, the wrist watch comes with a square stainless steel watch case with round corners and an adjustable stainless steel strap with buckle for stylish and premium looks. Moreover, the wrist watch features an “always on” LCD display along with two time modes including normal mode and maze mode. In maze mode, the time is concealed within a maze of LCD blocks, of course, the time is still easy to read. Apart from that, the LCD watch also features EL backlighting, 3ATM (30 meters) water resistance standard, and is powered by replaceable CR2025 watch battery. Kisai Maze comes in 8 models based on different color schemes, each one is priced at $99 USD (launch sale). If you’re interested, jump to Tokyoflash official site for more details or check out the following demo video first.